On Wednesday March 16th from 8am and for 1 day only, we’re giving you the chance to make an April booking on any one of our 59 beautifully designed apartments for just £69. 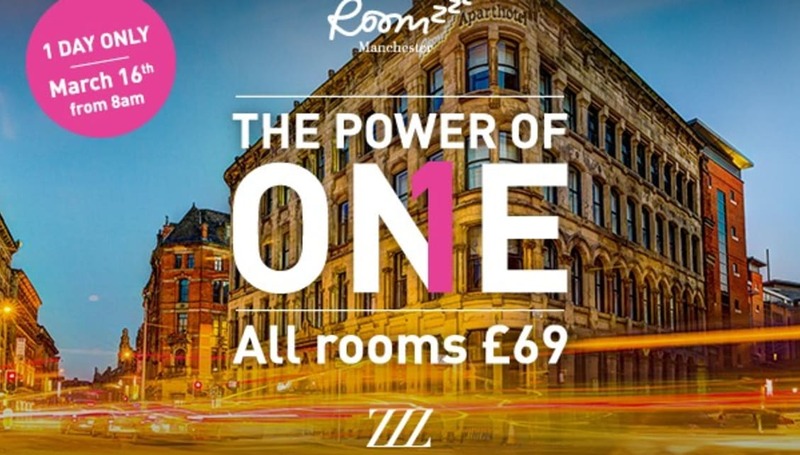 Book online at www.roomzzz.com or call 0203 504 5555. Hurry 1 day only, don’t miss out. Terms and conditions – Bookable online only at Roomzzz.com on 16th March 2016 for stays from 1st April – 30th April 2016. Pre-paid, non-refundable, non-amendable and non-transferable. Subject to availability and blackout dates. Roomzzz reserves the right to remove the promotion at any time. Not to be used in conjunction with any other offer or rates.